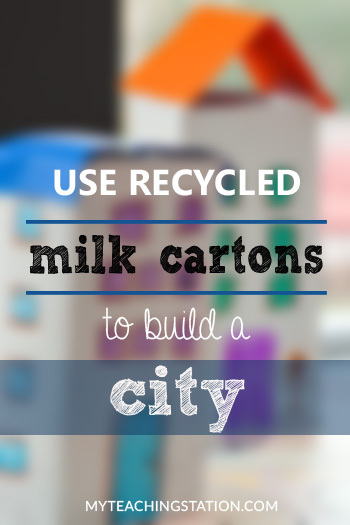 Create a city with roads and buildings using recycled milk cartons. 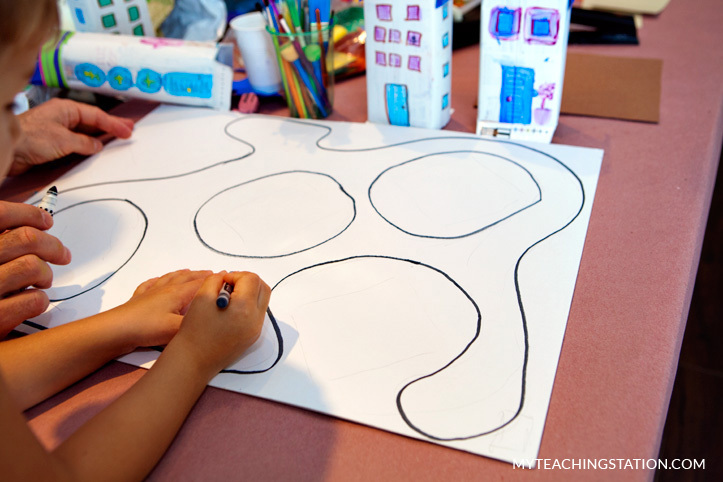 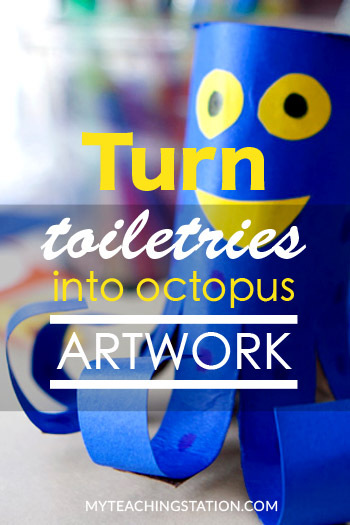 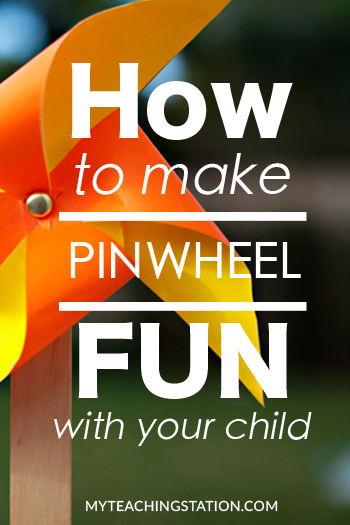 Boys will love pushing their little cars around the city after they enjoyed this art project activity. 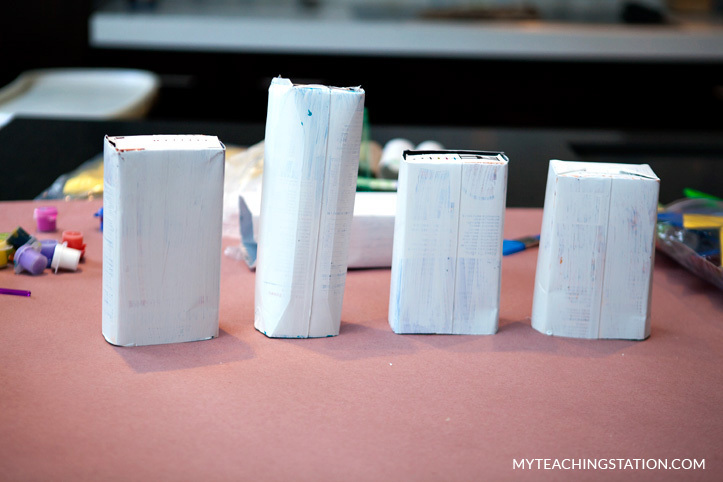 Cut one of the sides of each milk carton to create an opening (for the roof). 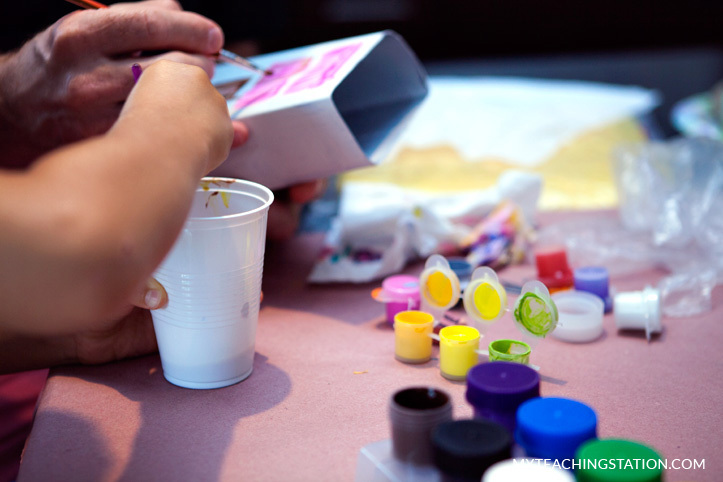 Paint the cardboard and milk cartons with white paint. 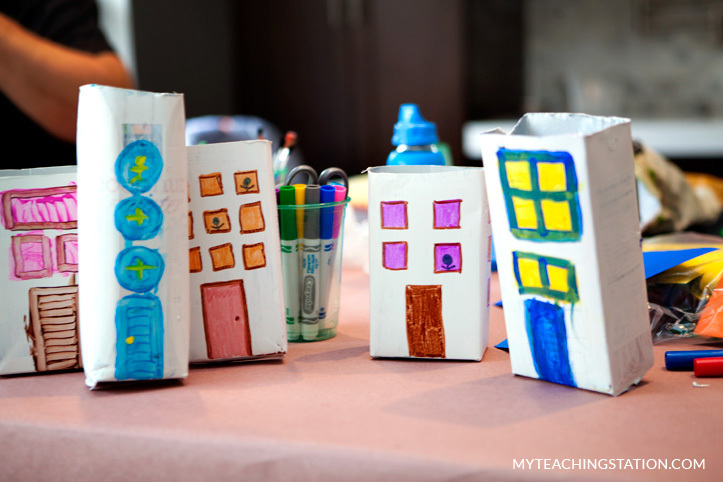 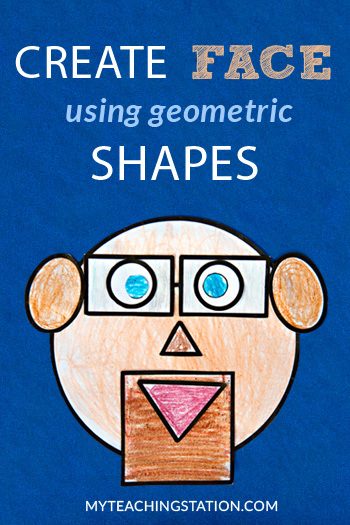 Draw windows and doors in each milk carton using markers or paint. 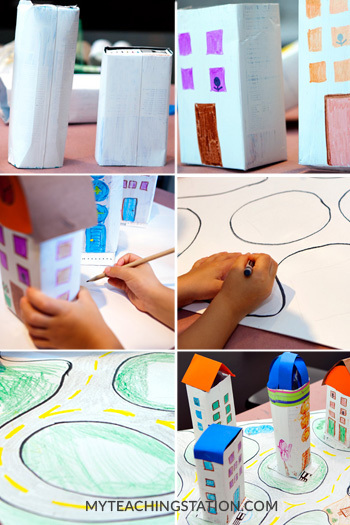 Cut out colored paper to make different roof shapes for each milk carton / building. 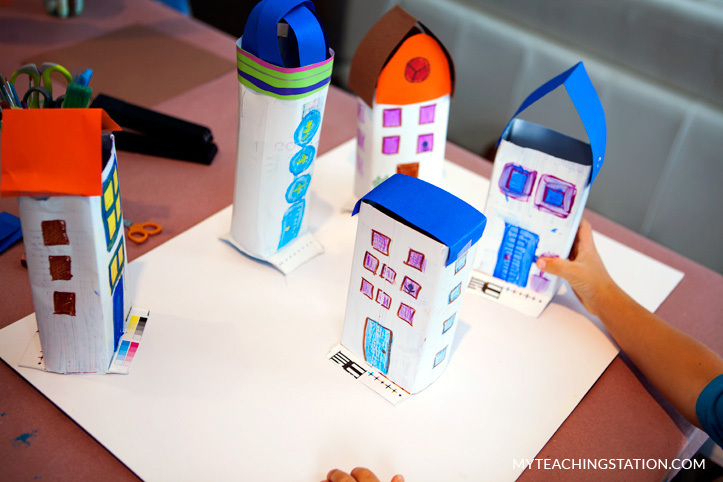 Use a stapler or glue to attach the roof to each building. 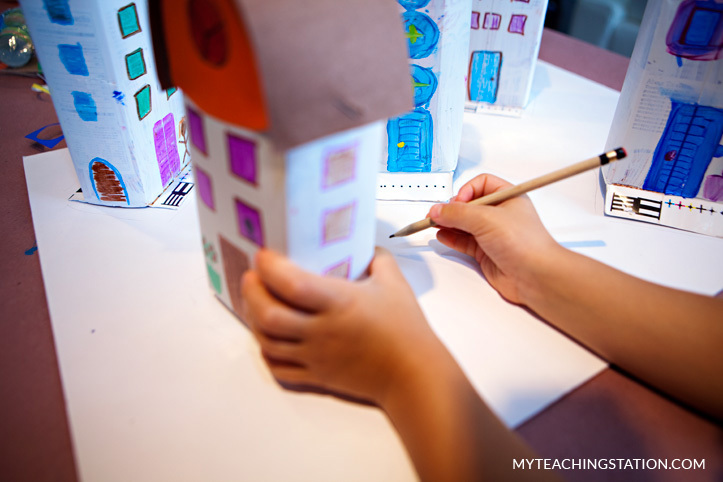 Determine where each milk carton / building will be placed on the cardboard and mark it with a pencil their location. 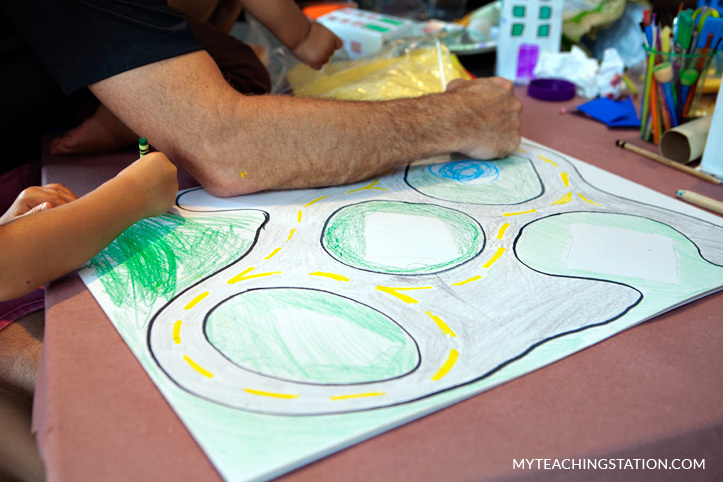 Use crayons to color the city roads, grass and anything else you would like to see in your city. 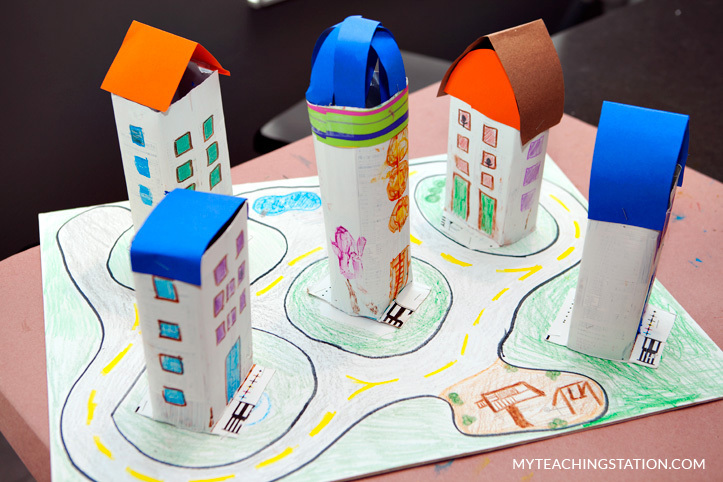 Play with cars around the city road making sure to go around the buildings.